TRU Group Inc worked with founders of photonic device invention to write their investor business plan and strategy for the start-up. We undertook the financial modeling and market research on photonic fiber-optic components and process for product commercialization of the new technology. TRU found and introduced (Silicon Valley) investors: The company obtained US$20 million venture financing and built clean room & assembly plant and growing aggressively. 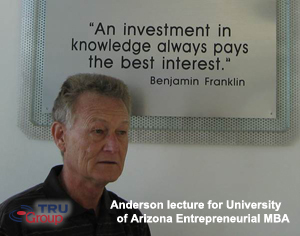 TRU managed design of the Tucson, AZ fiber optic manufacturing plant, supervised construction and ran operations for a year. TRU Group has a particular strong capability in photonics and due to its USA location in Optics Valley also a strong network for its photonic & fiber optic consulting. TRU Group Silicon Valley Venture Capital / Private Equity firm Introductions: The US is top-ranked globally in "venture capital availability" in 2017. We can assist US located start-up and/or junior companies to obtain venture capital or other funding as per the above example. In such cases TRU analysis should confirm substantial potential. A "start-up" or "junior" would typically be a (manufacturing) business model that would be of interest to Silicon Valley "Bay Area" California USA venture capital firms. An "established manufacturer" would have annual sales of over $10 million and should be in a unique / non-conventional niche industry segment. The start-up should be seeking a minimum $5 million injection and established producer minimum $20 million for a technology-intensive business in manufacturing. TRU Group Inc venture assignments are based on a non-refundable up-front retainer fee (and likely also include a success fee) plus expenses. TRU Group can also assist companies outside the USA, especially tech start-ups in Canada, Mexico or the European Union EU, but does not invest itself or advise individual investors. 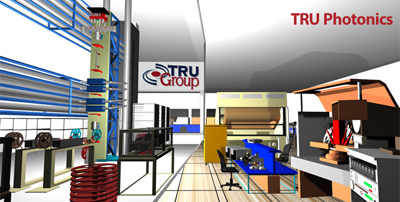 Whatever your investment need in high-tech industrial manufactured products please call TRU Group to discuss!